If you are searching for true freedom—from sin, from shame and guilt, from death itself—then look no further than Galatians! In it we find the revelation–truth of God’s “grace gospel,” which proclaims heaven’s freedom for every believer—freedom to soar higher than religious laws and freedom that places us at the right hand of God’s throne as his treasured sons and daughters. We have designed this study to help you explore and discover God’s heart by living in the surrendered freedom of yielding to the Holy Spirit. Each uniquely-crafted lesson opens with an introduction and key verse to reveal important themes. 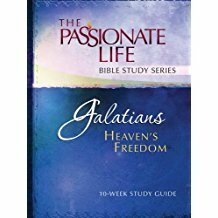 Four sections guide readers through Galatians in a way that will help you discover, explore, experience, and share the heart of God more deeply. May the Lord bring his freedom into your heart as you encounter his heart through this heavenly inspired, freedom-infused letter. God longs for everyone to encounter the passion of his heart. 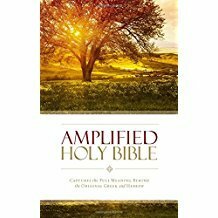 Inspired by The Passion Translation, this heart-level Bible study is ideal for both individual devotional study and small groups. Each lesson will kindle within readers a burning desire for a passion-filled life fueled by the heart of God! 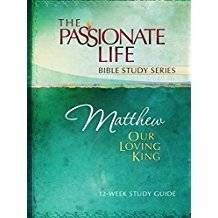 The Passionate Life Bible Study Series will help you explore this king and his kingdom through Matthew’s detailed historical biography. Each uniquely, crafted lesson opens with an introduction and key verse to reveal important themes. Four sections guide you through Matthew in a way that will help you discover, explore, experience, and share the heart of God more deeply. Jesus said that everyone who hears and applies his teachings is wise. Explore those teachings now to build a life that matters and lasts! Grow in knowledge and understanding of God through His Word. 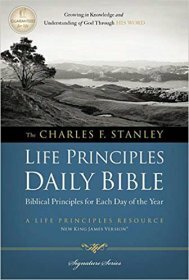 The text of this New King James Version® (NKJV) Bible is arranged in 365 portions, each including devotional insights derived from Dr. Stanley's Life Principles Bible. The full text of the Bible is broken into daily readings so you can read the Bible in a year. 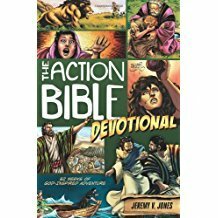 The daily 15-minute readings consist of a passage from the Old Testament, readings from Psalms and Proverbs, and a New Testament passage. Notes from Dr. Stanley shed additional light on each day's readings, and articles apply the Scriptures to our daily lives. 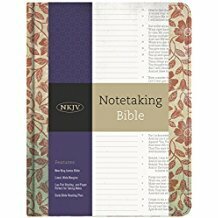 This daily Bible is designed to bring more focus and depth to the time spent in God's Word. 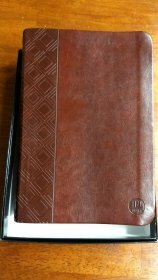 Brian Simmons now has put out the whole New Testament in one imitation leather bond book. 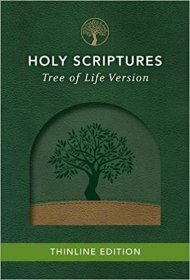 The Passion Translation Bible New Testament with Psalms, Proverbs, and Song of Songs. 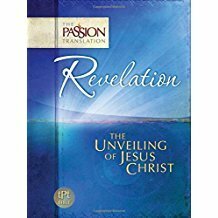 The Passion Translation Bible is a new, heart-level translation that expresses God's fiery heart of love to this generation using Hebrew, Greek, and Aramaic manuscripts merging the emotion and life-changing truth of God's Word. If you want to know God on a deeper level, The Passion Translation will help you encounter His heart and discover what He has for your life. God has given the world a treasure with the gospel of Mark! Mark unveils the Lord Jesus as the true Servant of God—holy, harmless, and merciful! As God’s Servant, we find Jesus healing, teaching, and working wonders throughout this beautiful gospel. Mark records nearly three times as many miracles as parables. As the briefest of the four gospels, you’ll enjoy reading of Jesus’ supreme power over both the invisible and visible worlds. He is Master over creation, man, and the devil, for he is the perfect Servant who came to do the Father’s will. Mercy triumphs in every page of Mark’s gospel. You will fall in love with this splendid Man, Jesus Christ, as you read the inspired account of his life. Now is the time to become a fervent follower of the Servant of the Lord! What joy and glory came out of Paul’s prison cell when he wrote to the Philippian church! Paul’s words point us to heaven, teaching us how to be joyful throughout our journey of becoming like Christ and revealing to us greater depths of the Person who gives us this joy. We have designed this study to help you discover the good and glorious work that Christ has begun in all of our hearts. Each uniquely-crafted lesson opens with an introduction and key verse to reveal important themes. 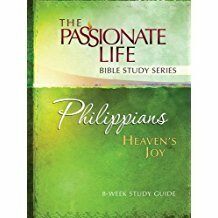 Four sections guide readers through Philippians in a way that will help you discover, explore, experience, and share the heart of God more deeply. Explore this heavenly letter of joy and be encouraged, and let others know that Jesus is the One that makes every heart sing, flooding us with a bliss that cannot be restrained!